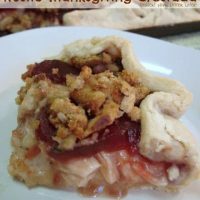 Rustic Thanksgiving Crostada - Dessert Now, Dinner Later! Happy Thanksgiving everyone! I am so thankful to have a healthy & happy family. I am extremely grateful for my faith in the God & Jesus Christ & the hope & guidance it brings to my life! I am thankful for good friends, a warm home, clothes to wear, clean water that runs freely in my house, HOT showers, electricity, because I would be a wreck without it, cars, computers & most importantly food! I have such a passion about food it’s ridiculous! I am a fat girl in a recently skinny body (lost 43-ish pounds in the last year), but I need to work hard to keep it that way. 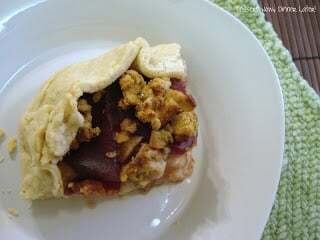 Anyway, today’s post is a simple Thanksgiving leftovers option. 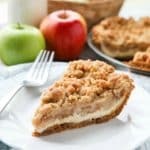 If you make extra pie crust while you are making your holiday pies, you will have everything you need ready to go the day after Thanksgiving & this will be so quick to whip up. If you don’t usually make extra pie crust, make a quick batch before you go to bed tonight or just go buy some while you are doing your holiday shopping tomorrow morning. It’s important that you layer things they way I have them. Those mashed potatoes on the bottom save the gravy from making your crust soggy. Okay? Now, I am on vacation right now, so I made this before Thanksgiving, I cheated & used chicken instead of turkey, but you get the gist. 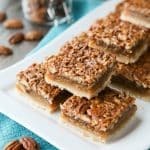 You will want to make these in small personal sized portions, based on what you will be eating right away. You only want to heat leftovers up ONCE, or you might get sick. 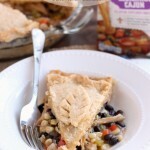 So make individual sized portions, like little pot pies & make just what you & your family will be eating in that sitting. Please, DO NOT make a big one & re-heat it later or you might get sick! I should have thought of that when I made mine for this post so I would have done a bunch of small/individual ones for the photos. Anyway, my husband liked this so much he thought we should do this for Thanksgiving dinner instead of everything separately. 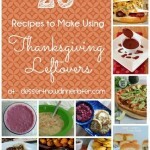 I told him that’s silly, but we can make it with the leftovers, because that is the whole point of this post: What to do with the leftovers. My husband loved that it’s a taste of Thanksgiving all in one bite. If you are not picky about all of your foods touching, then this is a great leftover meal. If you are picky about things touching, sorry I have nothing for you today. Enjoy your leftovers! Roll out pie crust to ¼" thickness. Using a plate & a pizza cutter, cut a circle the size of an individual portion. Repeat for other personal pies (only make as many as you & your family are eating right away, since it's safest to re-heat leftovers only ONCE.) Place pie circles on a large baking sheet. Top crust in this order to prevent the crust from getting soggy: Spread mashed potatoes over the crust leaving a 1½" allowance at the edges. Pour gravy over the potatoes. Top gravy with turkey. Top turkey with cranberry sauce. Finish by sprinkling stuffing over the top. Fold edges up, randomly (this is rustic after all), pulling all of the sides up & inward, so as to contain the filling. *Optional: Brush edges of pie crust with a beaten egg. It will help the crust brown better. I did not do that & my crust is pretty white in the pictures even though it was thoroughly cooked. Bake for 30-60 minutes or until crust is baked & it's hot in the center. 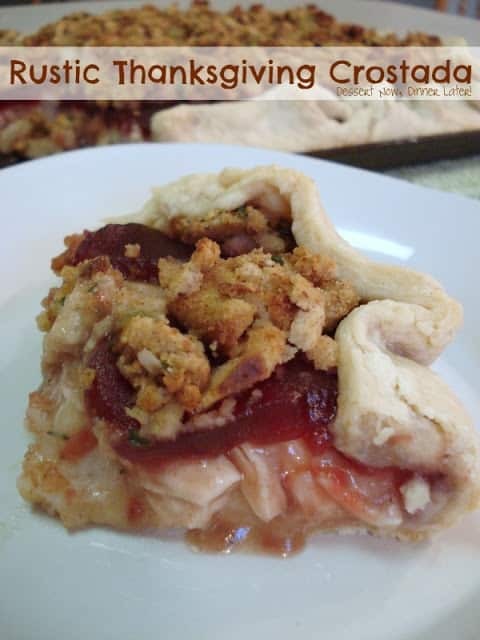 You may need to cover the stuffing with foil, keeping the crust exposed, if the stuffing starts to brown faster than the crust. Time will vary depending on the size of the pies. IMPORTANT: If you make a big crostada & cut it up into servings, like I did, please make sure whatever is not consumed is thrown out. I cannot stress enough that leftovers should only be re-heated once, to prevent getting sick. Happy Holidays!